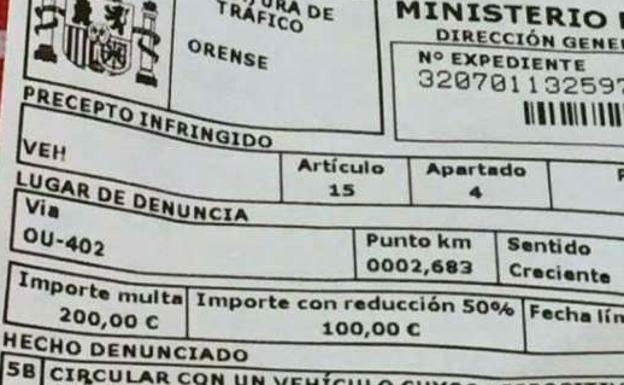 The Guardia Civil are warning motorist to be especially vigilant should they receive traffic fines from the General Directorate of Traffic (DGT) by email as many such notifications are proving to be nothing more than a scam. It would seem that the latest in a long line of email swindles has now been revised for use by criminals here in Spain. The message seems to be credible, containing all of the relevant detail regarding your tráfico fine; the place where the offence was committed, info regarding the offence and the amount of the fine. It even states the law that the driver has supposedly infringed. But the truly dangerous element of the notification is the photograph, proof that the violation was committed by your vehicle which, to access, you have to click on a link. With this last simple act the scammers will have achieved their goal, accessing all your passwords and banking information through a program that they have manage to install on your computer. The Civil Guard says that there are hundreds of drivers who have received this false fine by email and that it is a form of fraud known as phishing. In order to avoid being a victim, they are asking anyone in receipt of such an email to delete the message and report it to the authorities. The Civil Guard says that never notify drivers of fines by email but always by certified mail. They add that you can check if you have committed an offence by going to the DGT electronic office.